Tip No 8: Education, education, education – spread the word! Unfortunately, many medical practitioners, including GPs and high ranking Consultants still do not really understand NHS Continuing Healthcare Funding. Whilst most may have heard of this phrase, it is evident that upon questioning, many do not actually know what it entails, or more critically, how the assessment CHC process works; or indeed, how it may benefit their patients to know that this free funding could potentially be available! Think of how many thousands of families over the years could have avoided selling their parents’ home to pay for their care, if only they had been told about NHS Continuing Healthcare Funding. As well as educating your GP, many MPs are equally unfamiliar with this available funding. Educate your MP. Complain to them if the CCG process fails you. Don’t be afraid to educate others, and spread the word about this little publicised area of funding – which sadly, the NHS do not readily volunteer. You really have to know about it in order to start the process rolling, and the more people that know, the better. 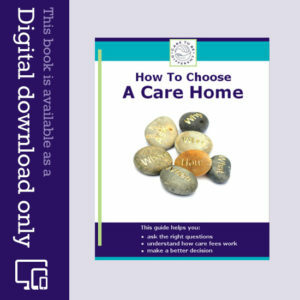 Help Care To Be Different spread the word. Tip No 9: Stand your ground! Be determined and don’t give up! The Clinical Commissioning Groups will seek to defend their budgets aggressively and may even try to put up obstacles to deflect the claim and prolong it. Do not give up! This is your relative’s chance to seek free NHS funding and you must do everything in your power to continue with the battle on their behalf. Raise your objection immediately, as NONE of the above may be true. So stand your ground. Tip No 10: Get a Power of Attorney before it’s too late! Above all, make sure that your relative has a Lasting Power of Attorney (both for health and finance) in place for before they lose mental capacity. A Lasting Power of Attorney will enable you to deal with your relative’s health and financial affairs in the event that they lose mental capacity (or even before then, if they so wish). However, once they have lost mental capacity, you will need to apply to the Court of Protection for your Deputyship Order, which can take months and can be very expensive. In the meantime, vital decisions that may need to be taken to help your relative, may have to be put on hold, whilst their health deteriorates. Such delays and expense can be easily avoided by having Lasting Powers of Attorney. For more information, read our blog: Essential: Have You Got A Power Of Attorney? If you haven’t already made a Will, then we recommend you consider it seriously. A Will can be relatively inexpensive to create, but has the advantage that in the event of death, you can be comforted by knowing that all your assets (e.g. house, jewellery, precious possessions and finances) will be looked after by a person of your personal choosing. Otherwise, Intestacy rules apply and all your possessions and assets will be legally distributed in a specific ‘pecking order’ which you may not have anticipated or have approved of. 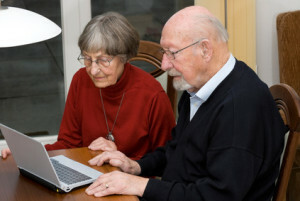 Under a Will you can appoint Executors who are responsible for the administration of your Estate and dealing with your assets and distributing them in accordance with your wishes. Tip No 13: Be careful – keep all paperwork handy! If you are pursuing a retrospective claim to recover care home fees that have already been paid, remember that you will need to provide proof to the CCG of fees paid in the event that your claim is successful. It is vital to keep this proof, otherwise you may find that you win your claim, but then cannot get reimbursed because you cannot prove your loss to the CCGs satisfaction. Therefore, you must keep all invoices from the care home. Request up to date statements of account from the care home. Keep all bank statements to prove what sums were actually paid during the eligible ‘win’ period (as these payments differ from the invoiced amounts). Beware, if you need to obtain copy bank statements, some banks (eg Barclays) only keep records for up to 6 years. Problems can occur where a care home has actually closed down and records become unavailable; or a family has thrown away their relative’s letters and invoices from the care home, or else old bank statements, thinking them to be irrelevant. Hold on to this stuff – it could be vital to obtaining repayment of care fees. For more information, read our blog: What Evidence Do I Need To Prove My Claim For Past Care Fees Paid? Tip No 14: Don’t put off till tomorrow what you can do today! Finally, don’t delay and bury your head in the sand. Acting promptly is one of the keys to success in seeking NHS Continuing Healthcare funding. Putting off dealing with an assessment or an appeal until the last minute could mean the difference in getting NHS CHC funding or not. 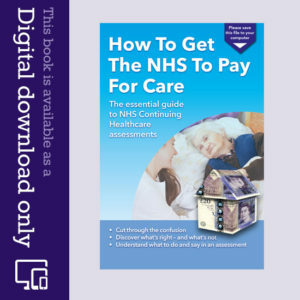 The sooner you get your head into the paperwork, and the NHS Continuing Healthcare process, the better. If you are finding it all too much and cannot cope, or are just worried that any existing funding could be withdrawn, then why not seek immediate one to one professional help. The sooner you do it, the better, as it will give your advisors more time to consider your relative’s case. My husband became ill 2 years ago and it was only because that I spoke to a financial advisor that I knew anything about your website. I then very quickly became a mini expert. Me and my children then questioned everything in the hospital on the lead up to any decisions being made. They were shocked when we turned up to the assessment meeting with our own highlighted copies of the decision support tool forms and when we objected to them wanting to move one of the sections into the ‘other’ section because we knew that in that section there was no ‘priority’ section for my husband’s specific needs. I also threatened to report two social workers who arrived at my husbands bedside and asked me for my bank details when he hadn’t even been assessed. Eventually after we refused a nursing home they paid for him to go to a specialist rehab place. Since bring him here he has improved and has just received another year of CHC funding. I have passed your website onto many family members here and onto the management of the centre. Many have told me their own horror stories from them not being invited to the assessment meeting to funding decisions made without them knowing. Your comment about the need to educate doctors, nurses etc is so important. During a long and distressing fight to get my father assessed for CHC no “health professional” seemed to know much about it and those who said they did had a very different understanding to mine. My understanding came from reading the NF statutory guidance, the Coughlan judgement, reading every article I could find, reading Angela’s book and watching law videos by Luke Clements on YouTube. Depressingly, no-one working in health and care that I spoke to over a period of two years had made the same efforts I did to understand it (despite the fact that they were being paid to administer it, assess people, make decisions etc). Most had never even read the NF or heard of Coughlan. My attempts to “educate” them, including quoting the NF and pointing out their mistakes and flawed understanding, simply got me labelled aggressive and interfering. It still shocks and saddens me that what happened to my father was not some terrible mistake but simply custom and practice, part of systemic failings which, from all the comments I read on this site, are widespread and common throughout the UK. It is shocking that so few NHS and social care staff seem to have any regard for acting in the best interests of patients. Their professional codes of practice require them to do this but perhaps they have not read these either.